Machine Learning Meetup Medellín is a group of enthusiasts who get together to share their knowledge and experience in Machine Learning, Big Data, and Data Science. Their next meetup takes place June 21st at 6:30pm. 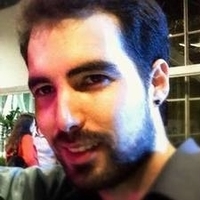 The meetup will feature a talk: A Hands-on Recommendation System with Daniel Valencia. Daniel will explain the entire process of analysis, design, and implementation of a hybrid recommendation system for real estate. The talk will be followed by a discussion panel on Artificial Intelligence.